The ALL IN ONE Litigation Event Solution! Remotely attend or deliver depositions, trials, hearings, arbitrations, and more, in just seconds! Court Reporting AgenciesTransform the services you offer, click here. - OR - Litigation ProfessionalsGain power and accuracy, learn how. eSuite is the only platform around where litigation professionals can remotely access videoconferencing, realtime streaming, electronic exhibits, and non-discoverable chat, all at the same time, using one single interface. Litigation events, such as depositions, trials, hearings, arbitrations, mediations, and more can be instantly conducted in real-time with anyone, from anywhere. eSuite allows legal professionals to access powerful litigation tools using a single all-in-one platform without having to switch form application to application. Works on PC and Mac machines, as well as multiple internet browsers, such as Internet Explorer, Firefox, Chrome and Safari. 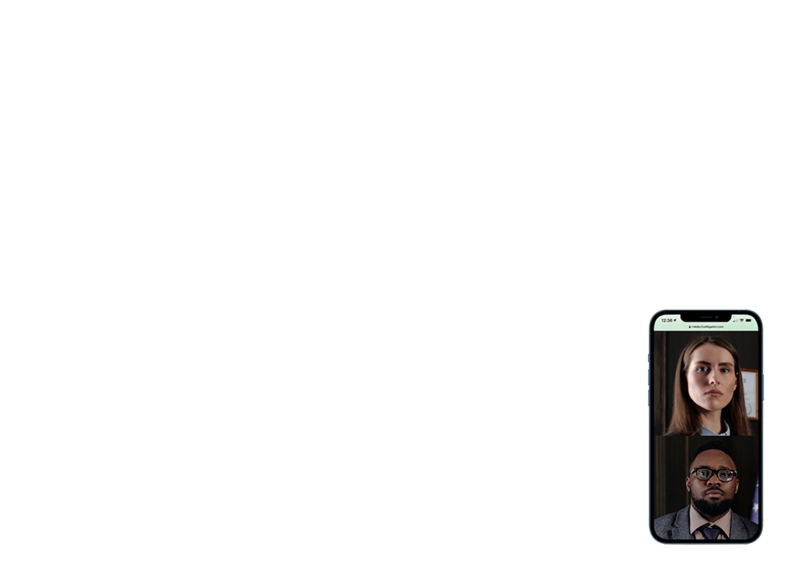 With high quality web-based video conferencing built into the eSuite Platform, attorneys can participate in one-way or two-way video conferences using any standard web camera. This allows the attorneys to analyze a witness without being seen, or to conduct face-to-face questioning. 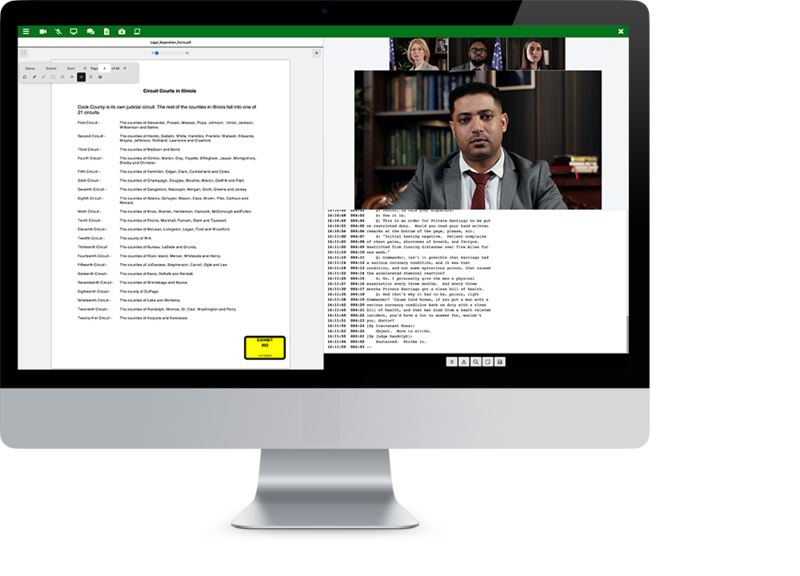 eSuite’s Interactive Realtime Streaming gives attorneys the ability to remotely follow along with a court reporter’s realtime transcript, search for and highlight keywords, add personal notes, create reports, and export data into the litigation viewing software of their choice. Attorneys can electronically introduce, manage, and collaborate on digital exhibit files from within the eSuite platform. In addition to eliminating the disorganization that comes with paper files, using Digital Paperless Exhibits also allows the storing of important documents online in an easily accessible, organized manner. Sometimes there is a need for legal teams to communicate with each other during litigation events without opposing parties being able to hear. eSuite’s Secure Non-Discoverable Chat allows legal teams to communicate off the record with group members, or conduct one-on-one, private conversations. LiveLitigation provides free 24/7 support for users of the eSuite platform. Whether it be training, location testing, or issues that may occur during an event, our knowledgeable team of technicians work with you to ensure that you have the best possible experience using the eSuite platform. Built-in invitation tools allow you to easily send emails to all attendees that contain details of any online litigation event, such as URL, date and time.